Mmmm - nothing like a great cup of coffee first thing in the morning!!!! Cute picture! Happy looking barista. 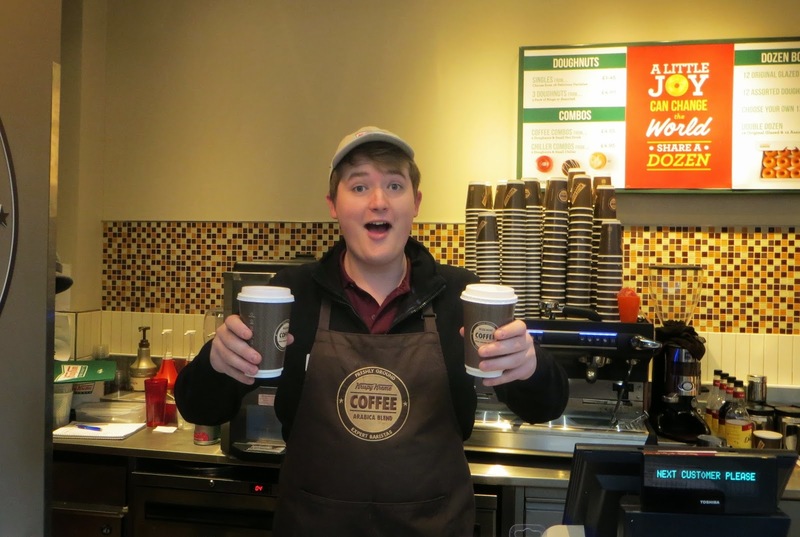 What an enthusiastic coffee salesman! I'll take a cup!